So the next step in the process to go solar is a site survey with a Solar City technician. 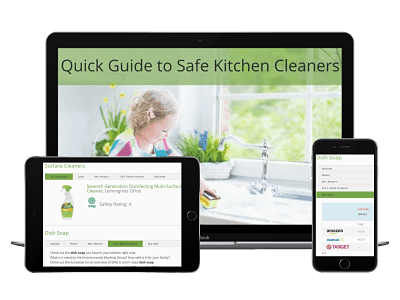 The site survey is done to gather information about your home so that during the next phase – System Design – another team can design the best (and safest) system for your home. When I scheduled the site survey I was given the choice of several two hour windows – kind of like your typical service call. I was told to expect that the site survey itself would likely last about 2 hours. So, half my day was going to be a wash. Finding a four hour block of time was a little challenging but I managed to find one. The technician who came to do the survey was super polite and professional – and 10 minutes early! He immediately introduced himself, took off his shoes, and explained that he would need access to our electrical panel, the attic and the roof. He also informed me that while on the roof he would need to drill in some sort of non-permanent attachment to ensure his safety while inspecting the roof. My first thought was uh-oh! Not a hole in the roof! My not-so-into-being-green husband is not going to like that! :-0 “Okay, sounds good,” I said. Gulp! I showed the technician out to the electrical panel in our garage and went back in the house. A few minutes later I was curious about what was going on so I walked back into the garage. Yikes!! The tech was in full orange jumpsuit and helmet gear! Safety first, I guess!? Not knowing if he could actually hear me through the gear, I yelled out, “Excuse me. I’m just curious, what you are looking for there?”. He responded by saying that he was just collecting information for the design team. I left it at that and came back inside. Okay, so I’m not exactly sure what kind of data was needed but assumed it had to do with how the electricity the panels generate will actually get into our house. I should add that I’m pretty sure if I had asked more questions, the tech would have been really nice and provided me with more info – just a hunch. So the next space the tech needed to check was our attic to look at the rafters. We live in a split level so we have two. I directed him to the upper attic first, making goofy comments all along about how messy it was and to beware of the huge spider (Halloween decoration) that was up there. I’m such a goof! Anyway, he spent a little while up there and was ready to move on to attic #2. Our lower attic is accessible from our hallway and has a door and a few steps just like you’re going to another level of the house…except it’s a small crawl space. It’s a cozy space so a few months ago I decided to convert it into a meditation area where I could GET AWAY FROM MY KIDS briefly and take a mommy time out. To make it cozy and zen-like I draped sky and cloud-printed fabric on the ceiling to cover the rafters, hung a green-forest print fabric from the walls and put down a yoga mat like floor. I also decorated it with candles and an inspirational quote. So this space was a little harder to explain than the 50′ spider in the other attic! We have two other spaces that the tech needed to check out. They both have vaulted ceilings and no attic so he suggested cutting out a small piece of the ceiling (no!!) or removing one of the recessed light cans to try to access the rafters. Both of those options conjured up visions of big messes to clean up as well as many trips to the hardware store to try and find a paint match for the ceiling and hiring someone to do the work. Nightmare!! After two trips into the attic I uncovered the storage tube – under a pile of rolled up old carpeting…that we will NEVER use! The blueprints had all of the data he needed! Whew! Note to anyone having a site survey done – have your blueprints handy!!! It was time to go up on the roof – and drill that harness thing in! Yikes! So I don’t really know exactly what went on up on the roof I just heard a lot of loud thumping. When I did go outside briefly to snap a pic I saw the tech walking around, harnessed in. The entire site survey ended up taking about 2 1/2 hours. A few days after the site survey I received a call saying that the engineers needed some additional data and that they would like to schedule a second site survey. Oh no – I thought – here come the holes in my ceiling! I’m very happy to report that the second site survey consisted of the tech spending about 25 minutes taking more pictures of blueprints of our house! Easy!! Next step to go solar….the system design! Stay tuned! Are you interested in switching to clean, renewable energy and installing a home solar system? 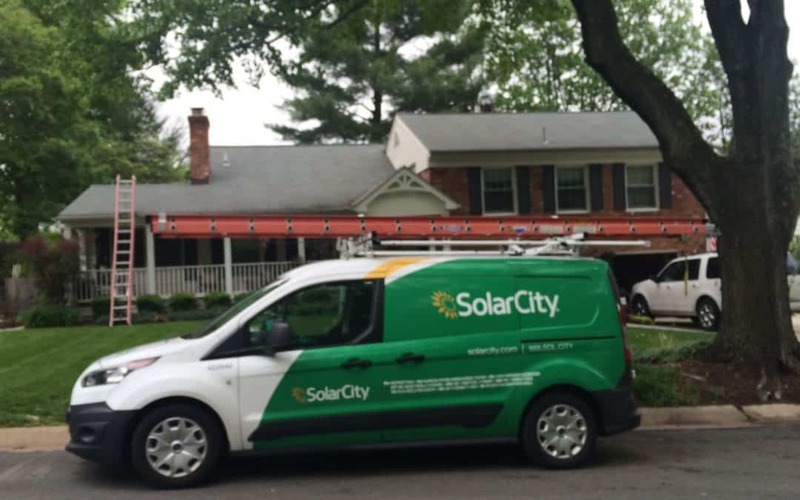 Solar City can help you through the process from start to finish. And, just for being a Greenily reader, Solar City will pay for your first month of solar! Enter your email to reveal a special link that will take you to Solar City's web site where you can sign up to get a free home solar quote and access to big savings!